Clydebank is a part of Scotland rich in stories about its colourful shipbuilding past. With its own identity and locals known affectionately as ‘Bankies’ Clydebank has mirrored its giant neighbour, Glasgow, in owing its existence to the River Clyde. 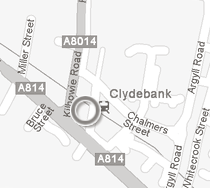 If you have a look at our little history guide you will see that the Clyde created the town. Alexander’s is a traditional shipyard pub that’s been here for over a hundred years, and we pride ourselves on our friendly atmosphere and our old fashioned charm. Many of our customers have been coming here for years having worked in the yards as man, and boy, but new faces will always be made to feel welcome. Lending itself to a chattier environment, you may be lucky and talk to some of those who helped to create the mighty Ocean liners such as the Queen Mary or ‘QE 2’. Men who made the stamp of quality ‘ClydeBuilt’ symbolise craftsmanship of an exceptional level. Not to be out done, Alexander’s was recognised for its quality of beer when in 2005 it sold the 100 Millionth pint of Belhaven Best. We hope to be around to sell another 100 million, with your help!